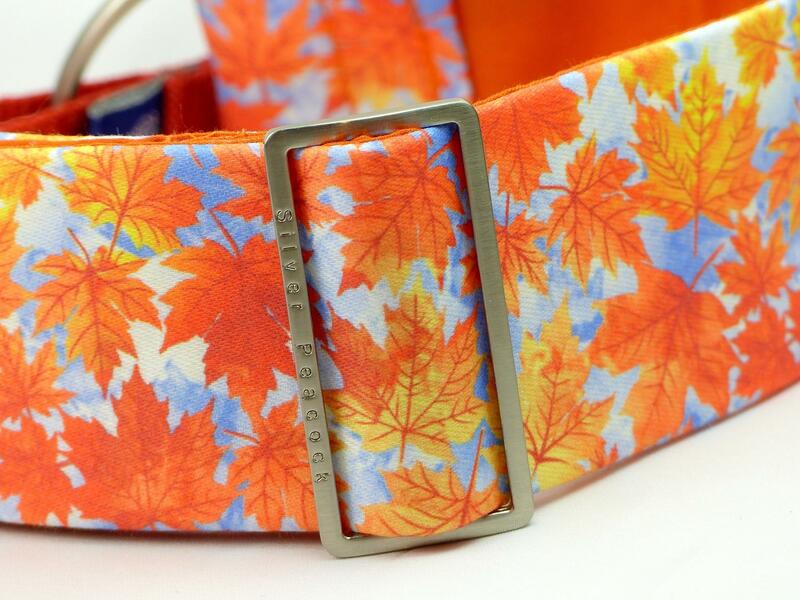 One for the the autumn! 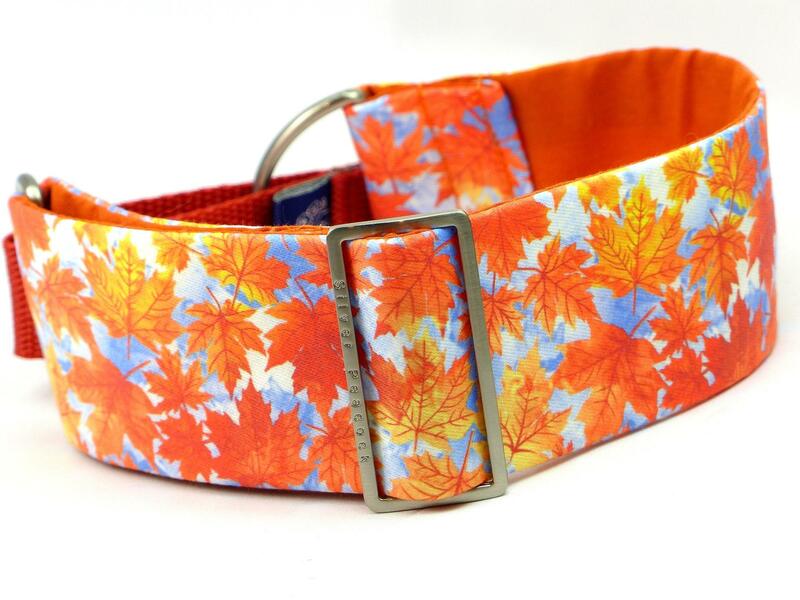 This lovely designer print depicts those wonderful Maple leaves that crunch when you walk on them and are great fun to kick! 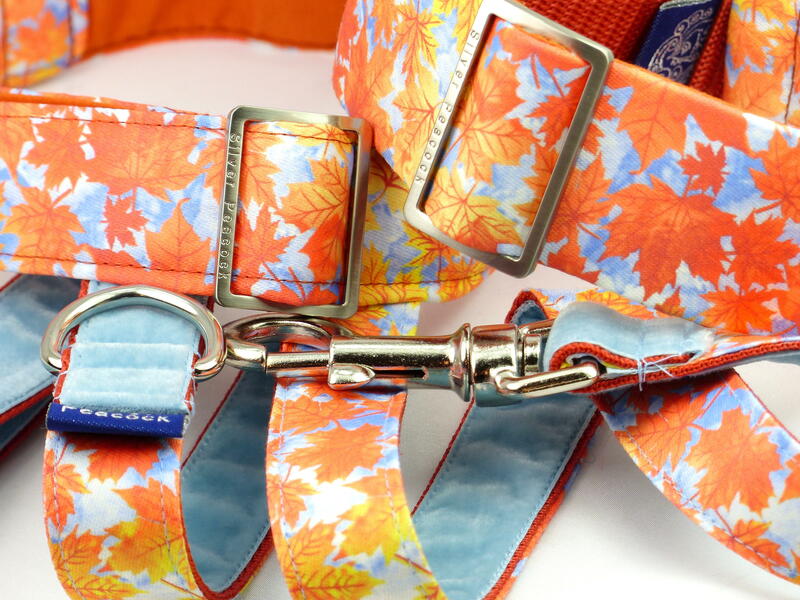 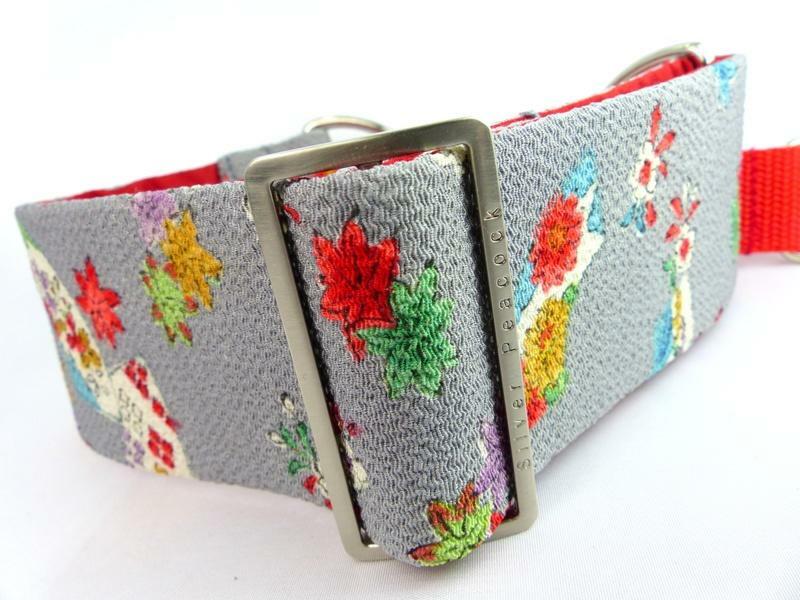 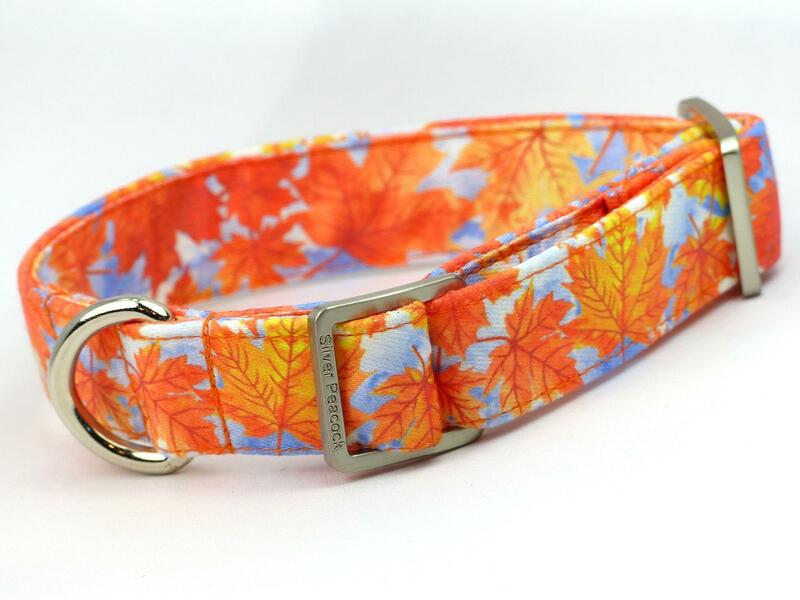 Printed in a lovely range of oranges and golds on a background of blue and white sky this collar is sure to be popular. 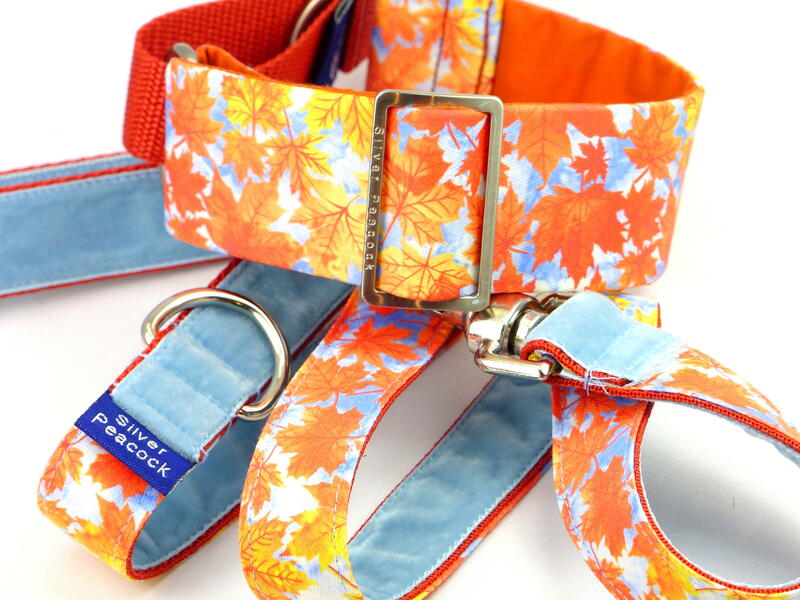 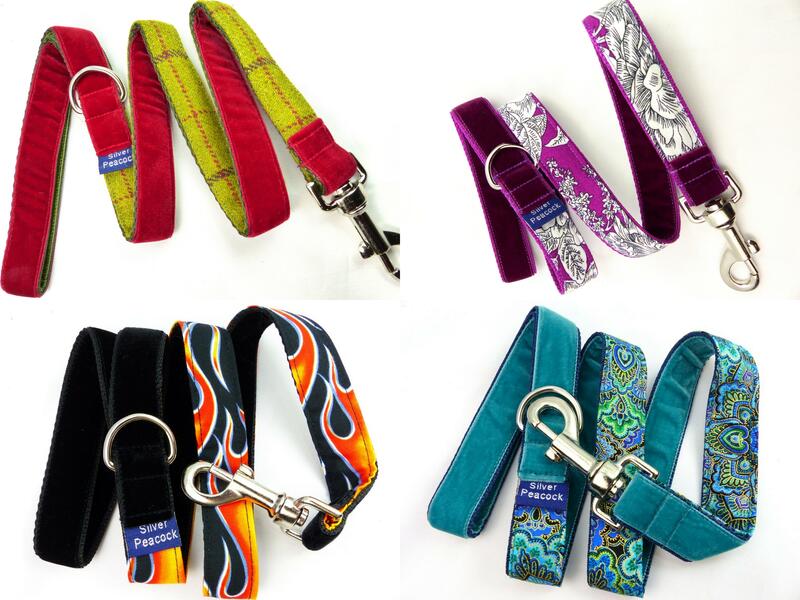 The collars are lined in complementary burnt orange fabric and are finished with our signature robust silver coloured hardware. 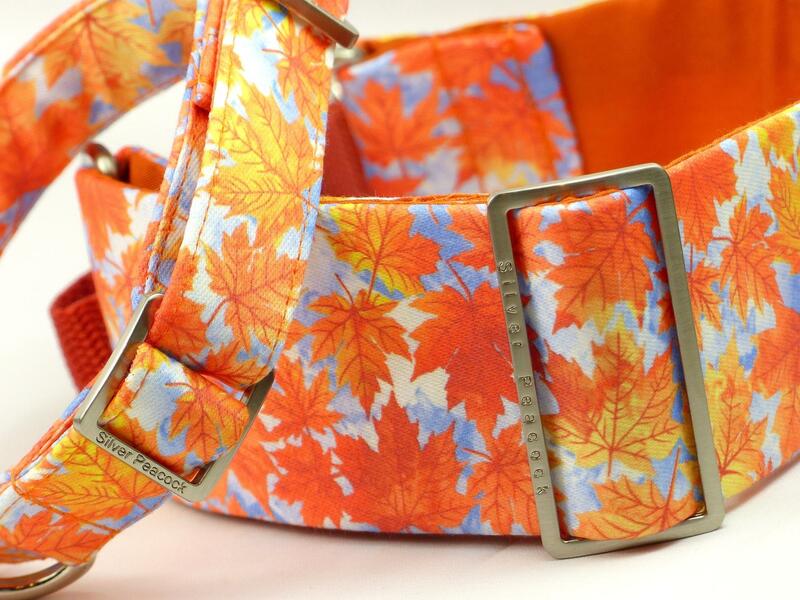 The martingale has a burnt orange coloured webbing section.